I’m not a fan of green. 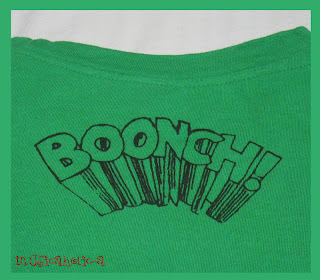 In fact, I used to hate green last time cos I thought it’s an ugly color. But quite some time ago, I’m kinda ok with green. As long as the shade is nice, of course. 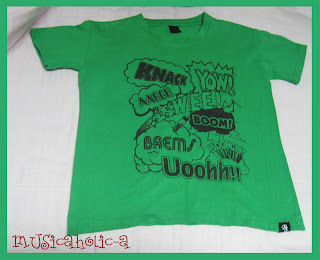 hahahaha..
I’m soooooo love this tee! 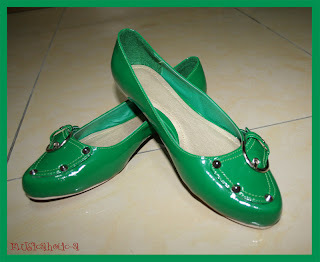 The green shade is almost the same with the shoes..ermm a bit lighter larr.. 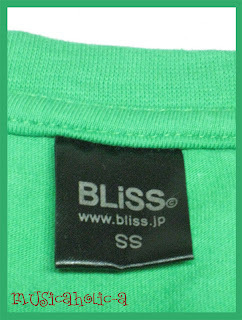 I got this tee from Bliss..
It’s a Japanese brand. Their t-shirts’ designs are just nice! Like those cartoony type of designs. I like most of them. Sumore I got this tee for cheap, weii..hahaha. RMB50. Original price RMB68. I love discount! Hahaha..
Hhahahaha..of coz u won’t! yellow will only be my one n only!LOL!Btw, how come u no ol msn lha? Sorry sis..but u still haven’t convinced me about green..me still NO like green!!HAHAHA.. but hey!as long as u like it!don’t mind me!LOL!